So when I was asked if I’d like to review Mollie Makes I jumped at the chance. I’ve bought it a few times over the years but not for a while because, well, how on earth would a craft blogger have time for crafting? Sounds daft I know. Over the last few months though I’ve really started to appreciate carving a bit of time out of the day for myself, self care I suppose, going for walks, reading books and hopefully now crafting again too. One of my favourite things about Mollie Makes is the little craft kits that they give away with their issues. Not only are the crafts normally something that looks really cool but they really do have everything you need with them, this issue had a gorgeous cross stitch kit and I did have a mild panic as I have no idea where my sewing needles are since we moved but as well as the wooden background and bright pink thread the kit also contained a decent needle – phew! 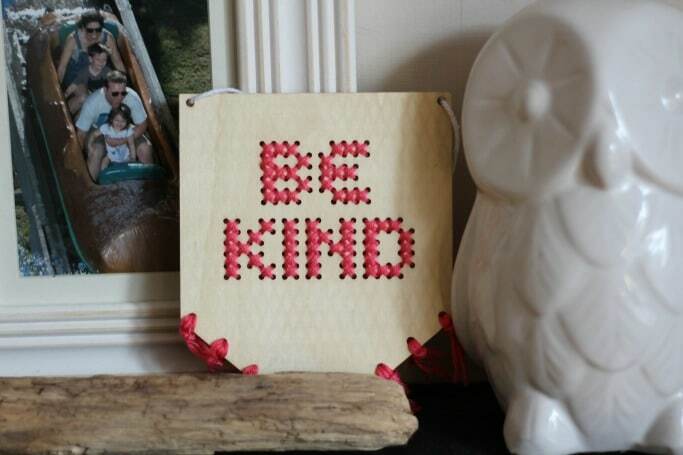 My kids are used to living in a house that is filled with arts and crafts but it’s very unusual that they see something I’ve made just for me so I was a bit worried about what they’d think of my cross stitch but unprompted both of them told me they thought it was awesome and it’s now sat in our dining room as a permanent reminder to be kind – always a good one for over breakfast when we’re all in a rush over school mornings. 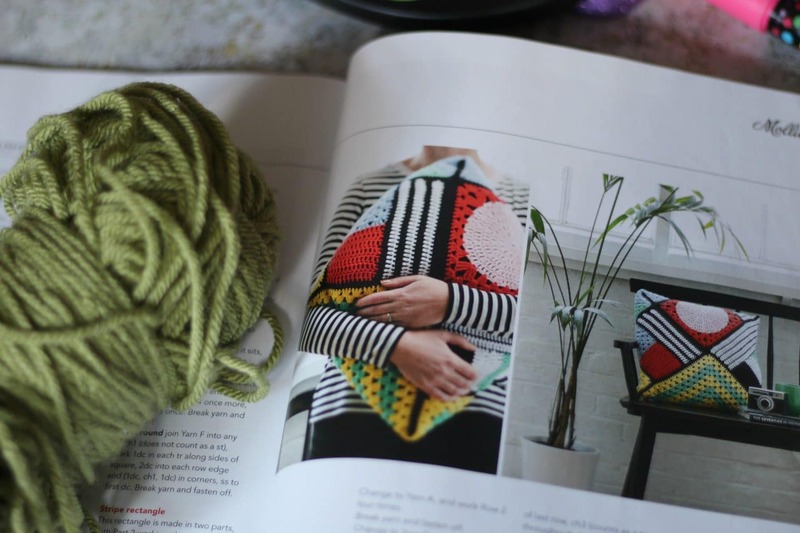 What’s more I still get to read Mollie Makes and try out any of the other tutorials that take my fancy and with ideas including screen printing, sewing a playmat and a gorgeous crochet cushion I know that I’ll get a lot more use out of it. I love the sections where they show the interiors of other people’s homes too as I’m always after a bit of inspiration for a bit more of a creatively decorated home. 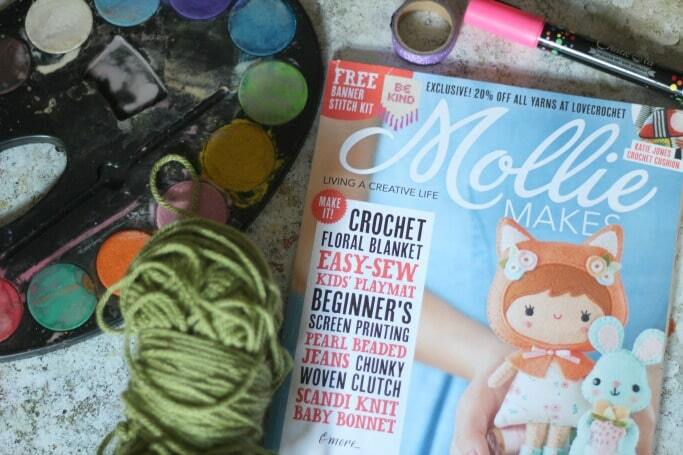 You can buy Mollie Makes at magazine.co.uk (where they often have money off too) and for the price I think it’s a great way to get a bit of creative inspiration back into your life, I know it has done for me. Disclaimer – This is a review but all opinions remain my own. That’s so cute! I am terrible at crafts but this looks so good I am tempted haha! Your cross stitch looks fab and I love the sound of these. I love crafting but rarely find time to do it but I think this would really encourage me too! Oh I love the look of this! I used to love Cross Stitch and that pattern is so sweet! I really need to get back into it!